Cobra’s sinuous lines recall the shape of a snake. Historically, the cobra is an attribute of the god Shiva, who is always depicted with a snake around his neck. The cobra represents dormant energy, which is the idea that inspired the design of this piece. The sculpture features a handcrafted wood structure composed of two symmetrical halves. These halves are separated by a plexiglass sheet that is illuminated with LED lights whose colour can be changed as desired. In dimly-lit settings, the piece creates a decidedly sensual, alluring and dramat c effect. 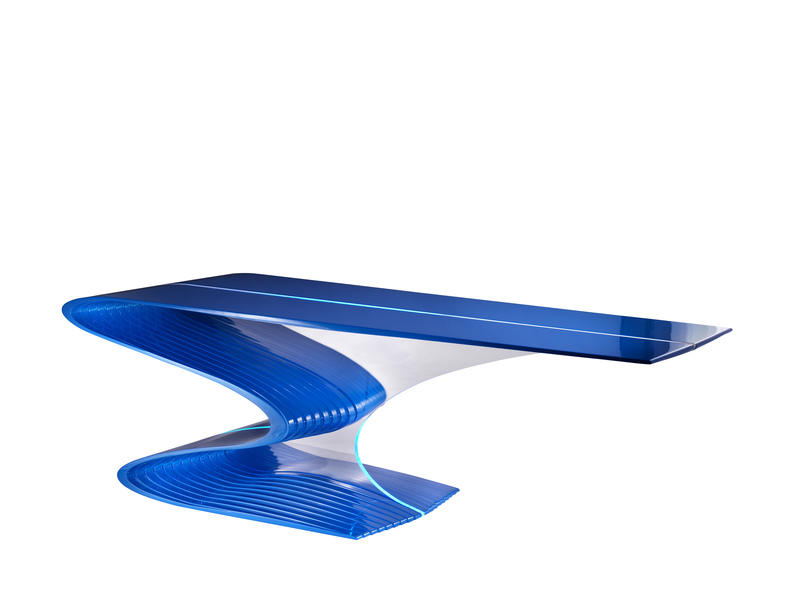 The Cobra table can be paired with Cobra chairs and customized with lacquer colours that suit the client’s needs.